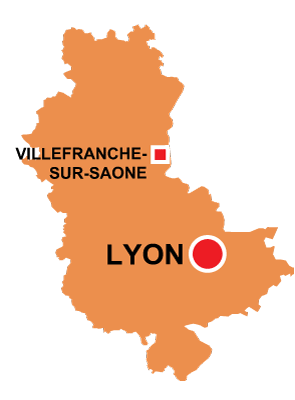 Lyon is in the Auvergne Rhône-Alpes region. 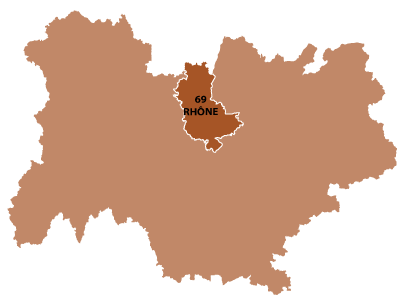 The river Saône joins the Rhône in the heart of the city and almost creats an island. The Roman ruins and early buildings are to be found on the right bank of the Saone. Lugdunum, which was the Roman name for the town began 100 years B.C. 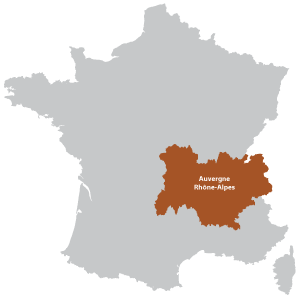 The rivers providing commercial importance, trade routes to and from the Mediterranean, and also natural defense. The fertile valleys of the rivers allowed important crop farming, the surrounding steep hillsides were ideal for wine production, which the Romans introduced. The city is of geographical and economical importance, it is now classed as a Metropole, with important infrastructures such as a very modern Metro underground, TGV train lines, international airport and more. Many of the traffic jam problems have been resolved with the construction of autoroute by-passes around the city, plus the underground system and new tramway. Places to visit are Nôtre Dame de Fourviere perched on top the hill, the Gallo Roman museum and La Part-Dieu, many old cobbled streets with shops in the Vieux Lyon. Also home to one of France's most important football clubs Olympique Lyon. Flight information and reservation system for flying to and from Lyon.